As tensions rise across the length of the Korean peninsula, the spectre of Linux focused malware vulnerabilities in South Korean has thrown an increasingly eerie shadow over events currently unfolding. Recent cyber attacks against South Korean banks and local broadcasting organisations have led security analysts to spend time deconstructing the code used to carry out the threats. Results of analysis have shown that code inside a piece of malware initially flagged as Windows-related does in fact have the capability to wipe Linux machines. The malware has been identified by Symantec and dubbed as Jokra and the so-called “dropper” for Trojan.Jokra is now known to contain a module for wiping remote Linux machines. NOTE: A virus spreads to a user’s hard disks and also onto other computers in a network (or via the web) by means of a function called a “dropper”. The function of these attacks is thought to have been engineered to specifically avoid the engineering offered by anti virus software produced by two Korean firms i.e. Ahnlab and Hauri. 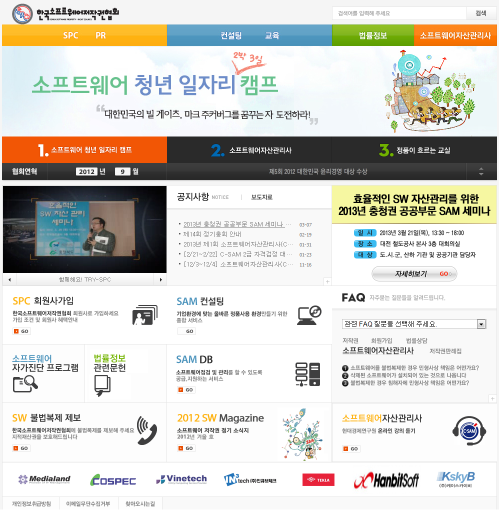 Security firm Avast has posted an analysis of the recent Korean attacks and provides the below image depicting the home page of the site that the attacks originated from. The site, spc.or.kr, is a legitimate Korean website which belongs to Korea Software Property Right Council (SPC) says Avast.